Home » How much should I say about getting fired? I was fired for a minor policy violation. How much should I tell prospective employers about it? Everyone I’ve spoken to has agreed that my indiscretion did not warrant being fired, so in interviews do I tell what happened and hope for the best? Or, do I make up a story to cover it up? Should I refuse to speak about it at all? How much can my old employer say, or shouldn’t I use them as a reference even though they’ve agreed to do it? Do not lie if you’re asked why you left your last job, and do not offer made-up stories to cover up the past. However, I believe the only ethical responsibility you have is to disclose anything that you believe would materially affect your ability to do the job the way the company wants it done. Why not just ask your old boss what kind of reference will be given? (The policy violation was not “minor.” It was major enough to get you fired. This would be a good time to apologize, if you haven’t done so already.) If you know what the company is saying about you, you’ll know better how to handle it. More important, you must line up at least two good references at your old company. Their words will count a lot, even if your ex-boss says something negative. If you’re asked in an interview, respond candidly. Admit you made a mistake but keep it in context. Demonstrate your self-confidence, and make a commitment. That last sentence is a very powerful commitment. You must live up to it. Some companies will decline to hire you. Others will hire you based on what they see and hear. Then it’s up to you to prove they made a good choice. Have you ever been fired? How did you deal with the facts in a job interview? Did it even come up? If you’re an employer, have you ever hired someone who was fired for doing something wrong? Why did you take a chance on the person? How did it work out? What advice would you give about the situation in today’s Q&A? Even if your previpus company or direct manager are not able to provide a glowing reference, if you have worked well with fellow colleagues, there will be others who are prepared to give a personal reference. It’s going to be a problem, no matter what. Even if you were fired (e.g., “laid off”) for reasons unrelated to performance, hiring managers will infer that there were other hidden reasons for letting you go, thus putting you immediately at a disadvantage. It’s the reason why a common first or second question is, “Why did you leave ?”. Unfortunately, you may find even your friendliest former coworkers are reluctant to issue any kind of tangible reference in this environment. I know some firms enforce their bans on any kind of feedback on a former employee (good or bad) with implied threats. I think Mr. Corcodilos’ comments are your best bet generally. However, if it was for cause and there’s a way you can turn it into an example of something you’ve honestly learned from, redemption is something a hiring manager can relate to. Finally, how you find your next job could affect how your situation is perceived. If you’re just responding to a posted ad along with everyone else, it will hurt more than if you find the job through personal references or your own prospecting. A personal reference obviously helps counter the negative impression and hiring managers tend to be impressed with knowledgeable, proactive folks who find them before they have to wade through wads of resumes. I have to disagree with Henry’s first statement. There is no shame in being laid off for economic reasons. Happens all the time in this depressed economy. A vice president I interviewed with stated this when I was searching for a new position after being released from my old job in the first wave of layoffs that ultimately ended up with a 50% reduction of personnel. Only, an ignorant hiring manager would discriminate against someone who as let go because business was slow. @Henry: Your last point is a very important one. A person who’s been fired needs to take assertive steps — more assertive than sending in a resume. Get someone to recommend you to the employer before you make your approach. Get the kind of personal recommendation that flies in the face of your getting fired. This speaks volumes to the new employer. I believe honesty is the best policy. You’re starting a new relationship, and it’s best not to start it with a lie. Your ethics communicate a lot about you. Whether they find out or not, its knowing that you lied to get where you are that matters. Many, many years ago, I was fired for tardiness. Driving home, I thought to myself, “I should be upset about this”. The truth is, I wasn’t challenged by my management position. Even though I typically worked beyond my scheduled hours (Retail), my work ethic and dedication was not a consideration for Management. I understood their reasons and felt no ill will towards them. Turns out it was the best thing that could have happened to me. I got an interview with another company that day (Friday) through a friend and ended up getting hired the following Monday for more money as regular staff. I’ve realized things happen for a reason and its better if you try to look as things in a positive way. Now I’m out of retail and work for a boss who gets me. He knows I’ll get the job done and doesn’t have an issue if I’m running late in the A.M., as I’m not a clock watcher and often work beyond 5 to make sure my work is completed on time. I love what I do and I count myself very fortunate. This is your opportunity to focus on getting a job that you enjoy and offers future growth opportunities. Best wishes on your career and stay positive. Great. Andv encouraging post!!! Good for you, I needed to hear this.life goes on. As someone who was fired many years ago for cause, I have to say that sticking one’s head in the sand and hoping for the best does not work. In my subsequent job search, I was repeatedly courted, and then dropped somewhere in the process of my employment verification. Don’t be naive to think that only your dates of employment and salary information are the only information shared. My advice is the same as Nicks; apologize to your former boss, not only to blunt his reference, but because he deserves your apology for breaking his trust. Your old boss wanted you gone, but unless he’s vindictive, his goal isn’t to make you suffer forever. And get some positive references from former co-workers inside the company to speak to your abilities. The issue with that is that some former bosses are vindictive..I worked for someone who was a bully to no end, and even told everyone in leadership that if we ever tried to get a job in our industry he would make sure we never were able to get a job. He stated that he only had to contact his brother and a few others and it would be impossible for us to get a job. Sarbanes Oxley Law states that you really should not give disparaging references, as it can come back and bite you legally. I only verified dates of employment and job titles…it’s a practice that keeps you out of court. The fired reader could always cite Billy Martin of the New York Yankees. He was fired and rehired five times by George Steinbrenner. One of those sacks came for a fight with a marshmallow salesman. Martin also was traded by the Yankess as a player after a fight at a night club. I would imagine that in both cases, fighting/improper conduct was a violation of his contract. Actually, the sports analogy for this issue might be good to raise depending upon the circumstances of the firing. Try to name one professional coach who never found work again after being fired? There are not many. When you are one of hundreds (or thousands) in the candidate pool for a posted position, you are not involved in a hiring process. You are involved in an elimination process. HR isn’t thinking about hiring until the very end when they have narrowed the field to two or three. Until then, they are focused on eliminating people. They will jump at any easy eliminator a candidate offers (fired, felony, unemployed, made to much money or any wild idea they can come up with). This is why it is so important to focus one’s job search on specific companies and hiring managers rather than rely on postings. If I have met you and talked to you, I am much more likely to overlook some trivial shortcoming that would be an eliminator in the game of resume roulette. Regarding how to talk about a termination, we have all seen many court room dramas where the witness swears to tell ‘the truth, the whole truth and nothing but the truth’. Here we want to leave out the middle one. Tell the truth and nothing but the truth, however all the grisly details aren’t required. I have been fired twice, but neither time for cause. In both cases, I was the executive director of a non-profit and fired by the board of directors because they wanted a change in leadership. People who are familiar with my field understand that this happens often, and does not mean that I am incompetent, but simply that there were differences in approach. Therefore, I am pretty open about it all. I’m so glad to see people advocate making a clear apology. But don’t do it “to get by.” Say it and mean it. Then stop. Don’t offer explanations and rationalizations, which erase the apology. We see it in our politicians. They do something stupid, bad, or wrong — and they offer a carefully-crafted statement that is no apology at all. It’s an explanation wrapped in a rationalization — but the message is clear: Heh-heh, I’m not really apologizing, I’m just don’t what I need to, to get you off my back. Apologize with grace. Keep it short. Make it honest. Then don’t make the same mistake again. Anyone been in this position? Did you talk to a lawyer? Try to fix it yourself? What was the outcome? I’d be interested in a column about how to handle getting fired for no legitimate cause. Example 1, I was fired as a way for him to get even with my Significant Other. I know this because I was fired by the Managing Director, who never worked directly with me, without the knowledge or consent of my immediate supervisor, who worked with me closely and told me after she found out that she didn’t approve of the firing. Also because he phoned said SO, who worked at a different company in another city over an hour away, to let him know that he’d fired me minutes after it was done. Example 2, I was fired for going to chemotherapy. No lawsuit because they were a start-up and had too few employees to fall under FMLA — though I don’t suppose a lawsuit would have helped me in a job search, if I’d been open about it. They were fully informed of my diagnosis, treatment, prognosis, and potential pitfalls prior to starting chemo (hard to hide something like that anyway). At that time I was informed that I “wouldn’t be penalized for being sick.” A couple months later I was told I wasn’t spending enough time in the office — chemo was one day every other week, but I was otherwise at work as scheduled, although certainly not as up to snuff as when I was healthy, which I’d told them to expect — and fired. That I handled by being vague: “That job ended due to a family emergency.” I still don’t have any good ideas for handling a revenge-firing, though, nor firings with no reason given. @Amy: Whew. Those are two tough stories. Keep in mind what the objective is: not to deal with getting fired, but with getting the next job. I think it’s all about offsetting negative comments and references. Offsetting means having alternate, positive references. Sometimes it helps to have someone who knows the players who caused the problem – and deftly “putting them to bed” when talking to the prospective employer. My client talked to Boss X. Boss X trashed the candidate. My client hired the candidate. Sometimes you have to work a bit harder to get the whole story out. Honesty is the best policy. Get calmly on the table. Treat it as a piece of relevant history, present the facts and move on. As Nick said this isn’t about why you got terminated, but what you can deliver. You don’t want to blindside anyone. If you get traction, you’re gaining advocates, most likely the hiring manager, who in turn works for someone. They need to know what they are dealing with, as they know their jungle way better than you and will know how to play it. If it jumps out of the woodwork later, as it most likely will, you’ve set you & them up for a fall. It’s something akin to withholding relevant info from your attorney. They plan a strategy based on what they know, & if they don’t know everything, the strategy is toast. I’ve been laid off, and I’ve been fired under the guise of a layoff. Nothing too ugly. But as a recruiter I’ve run across it several times. The last was almost word for word as the person said who reached out…for something rather minor in his view, but serious enough to get him immediately terminated. How can that reconcile. Union shop, and he did something that hit into a zero tolerance space..in this case opened a sealed electrical panel. He was with the company for decades. I’m sure his boss did not want to fire him. But literally had to. He was up front about it, calm, understood the company’s position. I moved him forward. He didn’t get hired because he wasn’t a cultural fit. No one had a problem with his termination. If you want a more character building exercise, try job hunting when you worked for a guy/company the feds shut down, tossing your former boss in jail..all very public. His hands were clean as he got out as soon as he figured out it was a dirty operation. Nevertheless, people do believe where there’s smoke there’s fire. Wisely, one of his references was the FBI agent in charge of the bust. He still struggled and eventually said the heck with it and started his own business & is doing well. Sorry for the long winded/cursored contribution, the sum of which is getting terminated for cause isn’t the end of the world, unless you make it the end of the world. I agree…just be honest. I’ve decided to just let my prospective employers know and if the job is really for me, then the door will open. I don’t want an impending feeling of doom hovering over my head, wondering if I’m going to be fired for lying. It’s not worth it. I treasure my peace of mind at this point in my life. I’ve hired many persons that were fired, and they ended up being great employees. Some good ideas here for handling difficulty separations. I found though that if the employment was short-lived (under 6 months), best to just leave the job off the resume if you’re certain that you will not get a good reference. Otherwise you waste time banging your head against the wall trying to find ways to counter the damage. One of my former bosses at a large law firm would trash his former employees when called for a reference, making it almost impossible for them to get a new job. After five months in the position there, it was clear it was not a good match. We agreed to terminate the relationship. After losing several very good job opportunities over the next few months, it became clear to me what the problem was. I decided to take control from that firm over my fate by removing the job from my work history. There was no point in suing in the firm; it had a superior labor & employment practice. A poisoned pool spills only poison. I’m going to go with the “Me Too!” post. You need to be honest and get to the point. You need to own up to the fact that you where fired and what you may have done wrong. And what you have learned from the ordeal. Many years ago, I was fired when a new, inexperienced manager took over. We totally butted heads. Also I was arrogant. In interviews, this was what I told the interviewer, and added that I hoped I had learned some humility. I never felt it hurt my chances in the interview. @EDR: I worked for a employer for about a year who (a) enjoyed firing people, and (b) relished giving bad references so that they’d “never work again”. I couldn’t tell you to this day why I was let go (the explanation was made by a PhD in Philosophy who had retired from the local college and was on the board), but together they had skipped over the part in my resume where I had summarized some extensive paralegal experience. The Rolodex was not too dusty, and pretty soon the law firm of Dewey, Cheatum & Howe, was calling for a reference. Shortly, Mr. Howe’s notice of representation was on his fax machine, and amazingly thereafter anyone who called was given a “name, rank and period of service” reference. Eventually (shortly) they dropped off the work history, which if you network properly, isn’t even required. @Steve Amoia: Only one disagreement with your sports analogy. In the sports world, you are dealing with professionals who have focus and goals. Only rarely so in business, and generally not in anyone who uses HR to screen and eliminate candidates. I guess it depends on why one is fired. 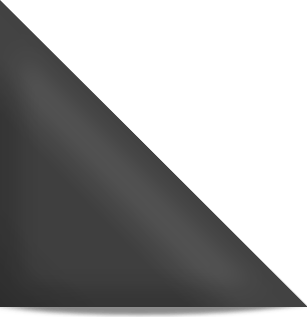 Layoff – bad luck happens to everyone. For cause – convince prospective employrer one has learned the lesson. Not for cause, or because of some stupid, irrelevant regulation in the Big HR Book – may be time to sue the previous employer? However, how to explain to a new employer that one disagrees with the termination, without bashing the previous comapny too much? Yes, honesty is the best, and then emphasize that you LEARNED from the experience and won’t do it (what got you fired) again. But sometimes what “cause” is to employers varies. Cause might be stealing/embezzlement, might be using company information for personal gain, might be having an affair with a co-worker, might be doing drugs, coming in drunk (or not coming in at all). Or cause might be hanging your coat on the outside of your cubicle, laughing when your boss tells you that another employee made a complaint with HR about you for parking next to him in the parking lot (you both drive the same make, model, and color car, and it confuses him when you park next to him), it might be refusing to obey your boss when she denied you a day off to go to your father’s funeral. Many states are at-will employment states, which means that your employer can fire you for any reason or no reason (except for being African-American). And it means you can quit for any reason or no reason. It means your boss can fire you because he has decided that he doesn’t want “inherited” staff (as one of my former bosses did to all of us), because you have blue eyes and he hates blue-eyed people because the girl of his dreams has blue eyes and she keeps turning down his offers to go on dates. There are other laws on the books that offer some protection to other groups (women, religion, ethnic groups, age, pregnancy), but most employers are very sophisticated these days and can get rid of you while making it look like you’re incompetent or stupid. Sometimes the employee is incompetent, and sometimes the employer wants to get of the employee but legal tells him not to tell the employee that she’s being fired because she’s pregnant, or because he’s Jewish. Employer will often move employee into a new position, provide no training, tell other employees not to help, then let employee fail. Or will make the environment so hostile that the employee may decide to quit. Courts are very pro-business and pretty much let employers do whatever they want….provided that the employer isn’t being stupid (like refusing to hire African-Americans because of their race) about it. @Amy: oy vey. I’m so sorry. I don’t think there’s anything you could have done about the first one, especially if you worked in an at-will state. Re the second one, that’s terrible how you were treated, but probably not illegal (back to the at-will employment). People undergoing treatment for cancer are not a constitutionally-recognized protected class (like African-Americans), so you probably wouldn’t have had any recourse. I remember something that my business law professor in college told my class: the purpose and only, sole purpose of a business is to make as much money as possible for its owners. Repeat as often as necessary. It is about making money for the owners. It does not have to serve a greater good (do good things for the community). It does not have to provide a decent salary or benefits for its employees. It must make money for the owners. This idea, taken to its next step, would find that how the start-up treated you was perfectly fine, perfectly appropriate, and to be commended. They had determined that you were not doing your job (whatever it was) that contributed to the purpose of the business, which is to make money for its owners, so they fired you. Logic, compassion, or empathy have no role in business. Anyone who is not producing, making money for the owners is out. That means someone who works for a company for 30 years but who can be replaced by a machine, by someone making 1 rupee per month in India, or by a kid making significantly less than you will be replaced because the money not spent on your salary represents a greater profit for the owners. I remember being appalled at the time, as were most of my classmates. We were told that this is business, and business doesn’t have to be fair, it has to make money for the owners. If you want justice or to make a difference, work for a non-profit or the gov’t. @Steve Amoia: I’m not sure I entirely agree with your sports analogy either. Coaches, particularly at the professional (e.g., NFL, NBA, etc.) level are not a common commodity. Even coaches who have been fired often find work again easily because they probably had winning seasons prior to the latest (bad) season. There’s a track record of winning seasons, and you can always think that the coach, given a different team, different owner and manager, healthier team, will have a better season. The question I have is how do you handle this issue if the “cause” is so niggling, so stupid? True, the boss didn’t think so, but let’s say that you got fired for going to your father’s funeral after your boss denied your request to have the day off (and yes, you told her that your father died, that his funeral was on Wednesday, and you need to take Wednesday off). You showed her proof (death certificate). You don’t want to trash your former employer/boss (knowing this is career/job suicide). So when you’re asked why you were fired, how do you handle it? It’s along the lines of Amy’s second job example (fired for undergoing chemo/taking a day off every other week). Dumb reason to fire someone, but in the employer’s eyes, serious cause enough. I would agree that the primary reason for business is to make money. But, that entails empowering your employees (especially in “services”) and keeping your clients happy. If you’re firing employees over “little” stuff, morale will suffer, nothing will get done and clients suffer. Amy should tell them she had breast cancer and had to take time off and the company wasn’t covered under FMLA (or other applicable laws). I think any decent human being can identify with her situation. If they can’t – it goes back to the question – are they worth working for in the first place? In your death example, again I would tell the truth and have all your documentation in order. I think in both these instances, you need to be prepared to show you can do the work and be trusted. Also, you should have vetted references who know the situation and your work ethic refer you. It also helps to bypass HR/run of the mill recruiters/HH’s. Oh, I agree with you 100%. Amy was not treated decently, as a human being. I was thinking the same thing–any company, even a start-up, and start-ups often have a reputation for being squirrely, that treated her that way would have me seriously thinking about what kind of people I was working for. If they did it to her, they’d do it to me, and to anyone else, and shows a lack of understanding and lack of compassion for others. And yes, common sense says that if you’re the kind of employer who fires people over little things, or who doesn’t want to make even reasonable accommodations (such as Amy’s being absent one day every other week), then morale will suffer and clients suffer in the long run. I question whether companies even think that far down the road. Some companies and people do dumb things, like treat good employees badly. Sometimes, as Nick noted in his response to this week’s question, it is the employee’s fault, and he just has to own up to it, prove that he learned from the mistake, and move on. Sometimes, “cause” is so ridiculous, and it isn’t the employee’s fault (Amy is a good example). I don’t think Amy has a good cause with either case to bring to a lawyer; yes, the employers in both cases didn’t treat her fairly, but they’re not required to be fair. And lots of employers will just look at the bottom line (making money) and not even think about human beings working for them who are ensuring that they make those profits for the owners. @Amy: I hope that you found a better job with more humane bosses. innocuous; not a good fit, etc. When you work in an at-will state, you’re at the mercy of your boss. Here’s my situation: I have not been fired–this question is more about the references piece. What do you do if you do not feel you can trust your supervisors? I work under two supervisors who are TERRIBLE communicators, who have decided that I’m stupid, and who have decided that I’m wrong, no matter what I do. I am looking for a job, and I am putting down a DIFFERENT supervisor (lead admin) as my work reference. I have also secured one reference from a coworker and am thinking about who else I can ask. …But what do you do? People are crazy. I’ve never been terminated for cause, but I have hired people who were. I would say the most important thing to remember is this: as with most situations, if you fail to provide sufficient detail, many people will assume the worst. If someone told me they were terminated for a “policy violation” but declined to provide details, I would think embezzlement, sexual harassment, confidential information disclosure, etc. Maybe the letter-writer’s violation was much less serious than that, but failing to specify leaves things very open to interpretation. There is, of course, such a thing as too much detail, but there is also such a thing as too little. I would rather hear, “I was let go for violating company policies for securing equipment. Here is what I learned from that: (x, y, z).” If I don’t hear what the violation was, it’s going to be hard for me to get the worst-case scenarios out of my head, and I don’t think I’m alone in that. I had a similar experience. Me and all of my fellow managers were far more competent and qualified than our Director, who was terrified of being shown up. Anyone who demonstrated any degree of success was quickly sabotaged and shown the door. In my case, the department I managed had grown 400% in the 2 years I was in charge. When we’d maxed out productivity per employee and needed to increase staff to meet demand, my boss stalled on hiring approvals, until our metrics began to suffer and I was fired. As soon as I was gone, I learned from former co-workers still there that he’d subsequently approved a doubling of staff. Glad I’m not there anymore, but my explanation to future prospects is simply that my Director wanted to install one of his preferred managers in my role, which is true. The part I leave out is that the new manager was one that he did not feel threatened by. I tend to agree with the honesty approach, but I’m wondering when to describe. I was informed with ample notice of my contract not being renewed and have been asked not to work while finishing out my contract. I have NOT been fired, and there isn’t even any clear cause for my dismissal; it’s much more of an ideological shift at my place of employment. My problem lies in the fact that each job I apply for has probably 200 highly qualified candidates applying. There will then be a short list of 10-15, and 3 or 4 finalists invited for more through interviews. I have not described my situation in the application (I am still an employee and have not been fired, of course), but I do feel like I should come clean at some point–I’m just trying to decide when: after preliminary interviews? at the final interview? Or do I try to avoid the topic at all cost? I don’t want to be dismissed from the first round because of a red flag, but I don’t want to get to the final stages and then have potential employers feel as if I’m breaking their trust. 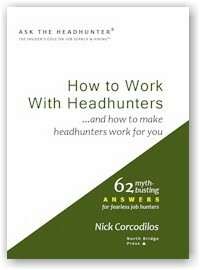 Nick, I’m not looking for a job, nor am I contending with a firing in my background. But I found this article and took a look, thinking I would recommend it to a friend who has had such troubles recently. I just want to compliment you for your article and the commenters for their tremendously insightful input. Needless to say, I am sending the link to my friend as we speak. Excellent blog. I was fired after 15 years for doing a trivial thing, the mgr. said i put 2 days extra on some cups of cut fruit. I really only put the correct amount but the pt person had put to few days. He and the company are trying to get rid of all ft employees. So they used this to twist things around. I even told him that the men in another dept did the same thing ,and it is a logical thing for a dept. manager to do. So now i am in a difficult position. I am not sure how to handle this but your site has given me some insight. To be frank i am at an age where it is hard to go to a new career. So i am working pt at my own web store. But this is not going to be enough so i will start looking soon. As a side point that manager who got me fired is now gone from that company. He left right after i filed a claim with the eeoc. I think they told him he would have to leave or be fired. @suzie. I don’t understand the details of your job & exactly the so-called infraction. If after 15 years you were fired for something trivial then likely that was just an excuse for another agenda. I always advise people who were terminated to simply tell the truth. In seeking other jobs I wouldn’t dive that far down in explaining what happened without the business context. The “business truth”/context appears to be a change in their business model to maximizing part time staff over full time staff and you were caught up in the change. You don’t have to explain to another business, particularly to HR types that a movement in that direction is a cost cutting adventure, because with part timers they trim their benefits costs dramatically. They’ll get the picture. In your case you can’t afford a part time job. That’s what sounds like the truth to me anyway. The offense you cite sounds contrived, petty,& silly and the kind of thing you don’t even write someone up for, just talk to someone about it. If you provide the context it will sound exactly that way, especially in light of 15 years service. They’ll get the picture. As to the EEOC complaint, you’ve no need to dive that deep. The obvious issue here is that if you are putting your prior employer as a reference or somebody who still works there as a personal reference then a fib about why you left might be easily discovered. There is an art to spinning why you were let go from a job. If you think it was not your fault then try to convince employers that why you did that policy violation? What was the reason or what your situation was in doing so? My be you are able to convince them. Best of luck. I recently lied to my employer. My husband was diagnosed with cancer at the beginning of this year. He has had many complications following surgery and then, just as we thought it was all over, the doctors told us they didn’t get it all, so he’d have to start radiation. I’ve missed work due to his health, obviously. Then this July, I had a ruptured appendix and spent 9 days in the hospital and was off work over 2 months. I was back to work 2 weeks or so but had to call in sick many of those days due to weakness, etc. I forgot to mention that with all this stress, I lost nearly 40 lbs. It’s taken its toll on me physically but I never felt I was depressed. Last week I was driving in to work and felt I was losing my mind. On the spur of the moment, I called in to work and said I’d been in a car accident, as I was so afraid to tell them of my declining mental state. My supervisor called me a few days later, and I could tell she felt I had lied about the car accident. When she asked me about it, I stupidly doubled down and told her I had indeed been in a car accident. Then she stated she wanted a police report. I knew I was screwed. The next day I attempted suicide and ended up in the hospital. When I saw my doctor today, he gave me a note for the days I’d been gone, but he obviously couldn’t cover my lie about the accident. I know when I go back to work, my supervisor will be asking for that police report. Do I tell her that as part of my declining mental state and attempted suicide, I lied about the accident because I was too embarrassed to tell her the truth? And if I get fired for this, how do I deal with potential employers and applications? What do I say? I’m so scared thinking about the future and losing my job. I could use some advice. By the way, I’m a nurse and I know no employer takes kindly to a liar. And if I tell the truth, I doubt they’ll want an employee who was mentally unstable at one point. Thank you for whatever advice you can give me. @Daisy Mos: This is far beyond advice about your job. I’m very sorry to hear about your string of bad experiences – I hope things improve for you soon. Please: Go see a certified counselor or therapist who can help you work through this difficult time. As a nurse, I’m sure you understand how important this is. Your mind and soul deserve just as much health care as your body. I know your job is important, but your success at work depends on working out the issues that are troubling you. A health care provider will give you what you need to deal with your overall situation much better than I can. I wish you the best. I was let go from a company in September 2014. My manager asked me to come to a conference room and there I was met with a rep from HR. They advised that I was terminated for not meeting performance standards AKA I was tardy a few times. I was still in my probationary period too. Per the company they will not give specific information surrounding the reason for my employment ending. They stated that there practice is to only verify dates of employment, job title, and income (if needed). How should I word this when it comes to potential employers asking me about my termination? I found out today that I’ve been terminated without cause. Three months ago I was informed by my boss that the head of our agency was considering a proposal to terminate me based on my ‘management style and negative impact on my team’. Coincidently this came two weeks after i told HR that i had been pregnant but terminated due to the poor prognosis of the baby. It’s been three long months and many lawyers fees later that I found out that they are finally choosing to activate the ‘at will’ clause of our legislation to let me go – meaning, they don’t need to give a reason. Meanwhile my former colleagues and staff are avoiding me in fear of their jobs. While waiting to hear about my employment outcome, I negotiated a nob at another agency. Now I’m worried this opportunity will be in jeopardy if my potential employer contacts my former employer to find out why I left. I’m considering telling my potential employer that I was terminated when I tried to give notice. It’s an ugly mess and I still don’t understand a) why they waited three months after walking me out to tell me I’ve been terminated at will, b) how they can terminated me with no cause after initially claiming cause and c) why they are not accountable for my claims of bullying and discrimination. Australia’s labour laws are the absolute worst, and believe it or not, this is a govt employer. How can I mitigate damage with my potential new employer? Even if they ask my former employer for details, it will be obvious that I started negotiating with them weeks ahead of my termination date. @Sue: I think the less said to the new employer, the better. I don’t know the law in Australia, but in any case, I think what any new employer is most concerned with is how you will help it be more successful. Drive your conversations in that direction, and I think the new employer will be left wondering what the old one did to lose such a motivated, focused employee. Your attitude will count for a lot. Don’t demonstrate a preoccupation with what happened. Look forward and take your new employer with you. I wish you the best. PLEASE HELP!!! I graduated from college 12/2013, ambitious, driven 24 year old. First job OO college, entry level manager, really just title alone. Had 2 successful college internships, after my senior year internship, Company A offered me a assistant position after graduation. Worked here until began first “big girl” job. Had a short internship/freelance work covering winter olympics for large city local TV affiliate-through this position, I was recommended for the manager position/Marketing-Social Media position from this Company-B. I was delicately told last week, today would be my last day with Company-C. 2 weeks Severance and have been told by upper management only info given to prospective employers are dates/position/salary. Per company policy, no more info provided, “not even if eligible for re-hire.” My immediate manager, who came to the company 6 months after I had started, is the one who recommended me for the job-Company B. I took on my original job and 6 months later, another entire full time position, told I was the “SuperStar.” Worked remotely from home on weekends as well-24/7 social media coverage for company with HUGE audience.Had a good review less than 3 weeks ago, only area of improvement was in my writing, that was the position I inherited 6 months ago. I was told on my last day, my writing hadn’t really improved and they were thinking of moving me somewhere else in the Company-C, would be viewed as a demotion. When I started working the new postion, soon the position I was actually hired to do, slowly dissolved and I was no longer doing what I loved and it was being phased out. I have worked SO hard for this company, was paid well, they have a huge presence in the city, culture is very serious-extremely high expectations. Also, 2 months ago, my direct manager-the one who referred me was shocked that I was 23 when hired. What do you recommend since I do have a VP who has agreed that I can use her as a reference. She told me in so many words she didn’t agree with the decision to let me go. My greatest concern isn’t not admitting I was fired, but the “COCKTAIL PARTY” reference…..people at Company-C are well connected within the industry throughout the city. THANK YOU!!!!!! @Mary Catherine: I think you need to choose your next employer very carefully. 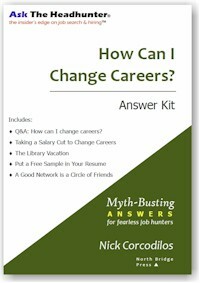 No offense, but it seems you keep falling prey to the mistake many people do: You take jobs that come looking for you. Rather than carefully picking out an employer and job that’s right for you, where you can shine, where the people, products and future are solid. It seems you’re going back to A “because it’s there.” Is that good enough reason? I find that people usually wind up out of a job because they took the wrong job to begin with. 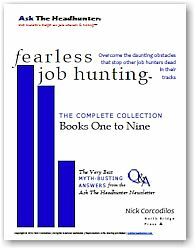 You might find these two Fearless Job Hunting PDF books helpful while choosing your next employer. See especially the sections about “Due Diligence” and “Judge The Manager.” This is not just about having a job. It’s about working in a good place that will treat you well. I wish you the best. I have a question about being fired too but in how often should you divulge the information after you’ve gotten a job. 2013 was a difficult year for me personally and professionally. My mom was diagnosed with cancer, was living with me and I also was let go from work. Now we had management changes and the new boss is known for being unscrupulous. She had it out for me. I tried to get another job and somehow they found out about it and within a couple of days of this happening I was let go for the most stupid reason – attending a prior approved conference where I had given presentation. Needless to say it was a blessing in disguise because I knew I didn’t want to work under her. By the way the company that had offered me a job rescinded their offer and I am sure this boss and her people had something to do with it…but of course I can’t prove it. But it goes to show how useless, mean and inhumane this person. But I am confident in time she’ll pay the price for all the people she’s done damage to. Anyway moving forward I made a decision not to discuss the reason behind my termination because I felt like a failure and it took a toll on me. I secured another job as a manager, better pay etc. But my company’s contract has ended and now I have to find another job. My question is should I discuss the reason behind my job ending on the previous job if asked? Or just say that it ended and I was taking care of my ill parent or career advancement etc. I was fired from my job on March 10th for excessive tardiness, nevertheless the year and 3 months upon working there I never missed a day and was always available even on my off days. My question is what’s my chances of being upfront on job applications when the question comes up. Thus far I have ben honest, I don’t want to lie. Am I automatically deemed from getting an opportunity? What questions do Employers ask your previous Employer when inquiring about you? If I remove them from my resume, when doing a background will my previous job show up? I’m irritated..pls help. I was terminated at my company, for being involved with a coworker, in a mutually accepted affair. It went south and she used it against me, going to HR about it. There were no harassment or sexual abuse issues. I could have challenged this and maybe she could have been fired, but I let it go. Because I was a manager there, I was the one fired…because I should have known better. I’ve had a job since, but now that I have to count this job in my history, it will always come up when looking for new jobs. I’ve read enough here to think I know how to handle it, but does anyone have more advice on how to manage this with potential employers? I wouldn’t obcess over this. Some of us recruiters may ask why you made a change..and some don’t, particularly if it’s long past. I honestly do not know what to do. I was laid off during the recession with a good percentage of my company. I consulted and created my own business until I went full time with a client that seemed like it would be a good fit. I got sick well after a year and was terminated. I went back to consulting had clients, but now find myself back to needing a job desperately. The consulting practice is straightforward and I can’t chop up the description so I originally removed the full time (terminated position), especially when I was told that I wouldn’t get a reference. However, I am concerned it is discovered later. First, how do I explain it in person as to why it ended. Second, what do I do when including it if it comes right in the middle of the consulting? Third, if I explain the 1st layoff, 2nd fire, and now my consulting not going well how am I ever going to get a job, especially in a state that is having a tougher time recovering from the economy. Mr. Crocodiles is right about his advice in finding the right fit in a job and company culture. I am the poster child for ill-fitted jobs in toxic work cultures and with psychotic bosses, managers, and colleagues straight from the pits of hell! Late in life, I think I might have finally got it right, but the slap downs have taken their toll on me. I think people obsess or dwell too much on the reasons for being fired. With few exceptions for gross mis-conduct, excessive tardiness and absenteeism, insubordination, etc. most people like myself give a good faith effort, endure hellish treatment, and get thrown under the bus. Granted, I’ve had smug jerks rub my face in past failures and firings, but these are the places to get up and leave during the toxic abusive interviews. I believe it’s best to say less, and sugar coat it as best you can…. example, I was at my previous job for 5 months. A month into it I saw that they lied and misrepresented the job, and my colleague was a psychopathic bi/polar head case from hell who threatened me numerous times. When I was fired, I was relieved, and I won my UI as it stated ” candidate made a good faith effort and no gross misconduct was proven”. When I interviewed for my current position, I told my now boss that I was hired, then they evaluated my position and decided it was not economically feasible, and so it is what it is. That’s all it took. Less is best! The real reason I was let go was the old canned ” you are not working out” reason. 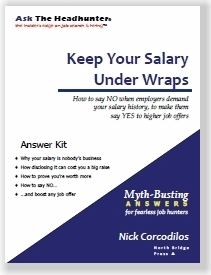 As Nick has advised on being more careful in job selections ( lesson learned for me), I told my current employer that I did not want to start a job, then get called in and blind sided in 90 days or 6 months and told ” you’re not working out” (been there, done that too many times). I also asked for a job shadow. I came out for the day, and spent the day working for free to see how I performed, and how their culture was. This was on a Friday. At the end of the day I was hired and started the following Monday. Also, I now make employers tell me the expectations upfront, and if they honestly can’t, or won’t, I walk! Few employers are willing to give a learning curve anymore, and expect you to hit the ground running day one. People worry too much about the reason they were fired, and I believe the majority of times, a lot of the blame is on employers for abuse, or setting people up for failure. I say sugar coat and articulate the reason, don’t embellish much about it, and move it along. If interviewers won’t drop it, get up and walk out, it’s not worth it. Plus most former employers are fearful of lawsuits and their shadows. Sure, some will bash you regardless, but most Saavy managers can see a nut job who’s hell bent on bashing you. Employers misrepresent and lie about jobs all the time, so I say don’t go into an interview like going into a confessional with your priest. It’s a two way street….survival of the fittest in today’s workplace, and being a nice person and forth right will keep you on the unemployment line. I was terminated for misconduct concerning my time card. I was given a verbal warning in September 2015 about taking my 2 fifteen breaks together. I had a difficult time getting my morning breaks because I had so much work to do everyday. I worked for a medical lab, and I was given a lot of job duties because there was a reduction in staff. As a result, I was overworked, overstressed, and underpaid. There were some days I found it impossible to take my breaks, especially every Saturday. My supervisor told me she would help me figure out how to get these breaks in, but she never fulfilled that promise. I think I rebelled because I was put in terrible work environment since the company refused to hire more employees. I worked for the lab around 18 years. On December 18th, 2015, my supervisor caught me taking my usual 30 minute breaks. She asked me to follow her to her desk. Once there, she became very verbally abusive to me asking me where I was and why I was gone for so long. I do suffer from PTSD from an abusive father, and my supervisor triggered it. Once I admitted what I was doing, she told me she would notify HR to see what recourse can be taken against me. I was finally notified that I would have to wait for a disciplinary meeting after the holiday. The meeting with the HR supervisor and my supervisor did not go well. It seemed that they had so much evidence against me that I was doing time clock fraud. I was suspended that day and told to get my stuff. I could not talk to any of my co-workers and I had to leave the premises. On the next day, the HR supervisor called me at home to ask for more questions. I was terminated that day because I admitted what I did. I have been so down on myself that I had to see a mental health professional to help me with my severe depression and severe anxiety. I am a military veteran, so I am eligible for benefits since I do not have much income coming in or in my savings. I am waiting on my W-2 form to arrive in the mail, so I can get my refund going. I did check on my Rollover IRA to see how much I have in there, but it will not last to help me during this difficult time. I do have my 401K that I am planning to check on to see how much is in that one. I have been denied Unemployment benefits because of this misconduct. I was told file an appeal, but I doubt what I have to say about why I was doing this will go well. I am in a Union, and my Union Rep has helped file a Grievance 1 Meeting with my former employer, and that meeting did not go well. He is trying to get another meeting set up with my old job, but he waiting on some paperwork and word when that will be. He did ask HR if it would be possible to change my status from termination to resignation. If approved, I could collect my earned leave hours as a check. That money would be helpful since I have over 130 hours. I have been to Veterans Affairs to get financial help and advice. I was told to get Food Stamps and Medicaid. The VA has helped me to get a reduce bus fare card, and I was given 4 grocery store gift cards at $25 each. The VA can help me move to a cheaper apartment. I was given a list of places that can help veterans with financial crises. I was also told about Veterans program for homeless vets to apply for Section 8 housing, but there is a waiting list. I just keep feeling that I will never find a job again, and that I am a complete failure. I should have listened to my supervisor about taking those long, stupid breaks. Yet, I realized that my last job was not a good fit for me, and I was never happy there. I also realized that supervisor is not a good one, and I deserve better treatment than she treated me. I just had a difficult time finding another job with the same job skills that I learned while working there. I do not have any certifications that I can use for a future employer. I did get a degree in Information Technology, but I found without any kind of job experience I could not get a job in that field. As a result, I felt stuck being there, and I wanted to leave so badly all the time. I just do not know what to say when I get an interview or what to write on a job application. Do you think that my misconduct will be a hindrance in finding another job? How much should I disclose about termination? I just to say this in a positive light, and I do not know how to phrase it properly. @David, to cut to the chase, you’re not a failure, & you’ll get a job again. By time card “fraud” I assume you put 2 15 minute breaks down, but actually took them together. Last time I looked 15*2 = 30, and unless you took longer then 30 minutes in the big picture you didn’t cheat them out of any money, which is the real infraction to worry about. If it’s only about 2 15’s vs 1 30, that’s explainable and understandable when you find your way to a manager who’s not an idiot. If I saw someone who was terminated after 18 year…there has to be a reason. Don’t try and hide it, just truthfully explain it. I can assure you that if they’ve been around for awhile that’s not the worse thing they come across. Yes you made a mistake, it wasn’t so much fudging your time card as not listening to your boss’s warning in Sep. What you did is do her job for her and try to fix the shortfall in help by adjusting your schedule. It sounds like a broken working environment, and fixing broken work environments, processes, labor shortfalls is management’s job. What you did is ignore her direction and take it upon yourself to find a way to get things better done when you were supposed to be taking a break. What you should have done is EXACTLY what she said. When break time comes around…you stop and take your break. Exactly as told. If that makes things pile up, makes you unavailable…. too bad. Not your problem. Because the best way to force a change to an unworkable scenario like yours…is to do EXACTLY what you are told, because it highlights the problem. Fixing it yourself gave your boss a free ride…from facing up to the fact that shorthanded enterprises pay a price. She’d have to live with disruptive 15 minute breaks, or work out a deal with HR for taking your “suggestion” to stick them together into one 30 minute break. You let her think she did her job by telling you to take a break, without dealing with the impact of those breaks in that environment. I was in management for 40 years and recruiting for over 10, and I can assure you, that your problem was not a biggie, and there are hiring managers out there that will listen to a factual (unemotional) explanation, including your reflective analysis of what you should have done (lesson learned) and move on to an 18 year contribution and desire to help out. And note..in your efforts to help deal with the shortfall, If you put extra time in off the clock, & you can validate it with notes or other, you’ll want to be compensated for it. One more thing, I can cite numbers of examples where someone’s termination paved the way to another direction where they ended up way ahead of the game. Thank for your experience in management to help me with my situation. The problem was that I was not watching the clock on my phone while I was on break. I worked near a hospital, and I would always go the Starbucks there to take my break. I would get a coffee and something to eat. I should have watched the time because I was over 30 minutes such as five minutes or more most of the time. Yet, I was never caught for taking those long breaks. However, my supervisor had documented I did this infraction on a December 14th, and then she caught me on December 18th while waiting for me at my work area. I should have asked my supervisor for more help to get my breaks in. Yet, I felt whenever I would ask for help with her she just make it like it was not her responsibility to help me. After awhile I felt that nothing I said to her would make any difference. She just had this terrible work ethic that my problems were not her problems. I spoke with a former co-worker who left for another laboratory. She worked in a different department, but my supervisor was responsible for it, too. My co-worker was also told me that our former supervisor would tell her that she needed to get her breaks in, but my supervisor never took the time to see during her working day how to find the right time to do it. However, she worked by herself because someone left and the company refuse to hire someone else to that position. She would try to take her break, but the phone would ring for results from the pathologists or other concerns. As a result, she would miss that break, and she tried to get paid for those breaks but nothing was done about it. This is why she left for another company that had a better work environment. We both agreed that our former supervisor was not a good one because she has this phony, sweet caring exterior while talking to you. Yet, she was a cold hard individual who really did not care about you at all and would do horrible things behind your back. My main problem is that I started my job at 9 am, and I was told that I needed to work 2 hours before I take my first break. My main job duty was that I do this essential task called the Blood Harvest. This department did the chromosome analysis on blood, bone marrow, and other samples to check for any abnormalities. This lab mainly concentrated on pre-natal and oncology patients. The blood harvest is when after the cultured tubes have been in an incubator for 3 days for blood samples and 1 day for oncology samples to stimulate cell division with an added chemical. The cultured tube needs to have several chemical reagents to stop the cells from dividing. It also prepares the white cells in each culture to be seen on a microscope as well as control the length of each chromosome. Usually someone starts this job at 6 am before I get there. Each day someone takes out a log sheet to document which culture is ready for harvest and what time each reagent was added. I usually added my reagent at 10:40 am for the oncology samples, and I have to set my timer for 20 minutes until I add that same reagent to the blood samples. What I should have done was take my first 15 minute break after 10:40 am. That way I could come back from break before 11 am. The problem I had was that I was conditioned to do my other job duties, and this is why I had a hard time getting that break in. By 11 am came, I could not leave the lab because I was on that timer. I had to remove the supernatant after the tubes were done in centrifuge. I had to add chemical reagent called 4:1 Hypotonic Solution. This reagent helps kill off the red blood cells in order to get the white cells. Once the tubes are in that solution, I had to put them in a warm water bath 98.6 degree for total of 30 minutes in a beaker, and I had to agitate each tube at the 15 minute mark. After that step is completed, I had to add a cold chemical fixative to prevent further cell division. Then I had to put them in the centrifuge for 10 minutes. Once that is done, I had to remove the supernatant again and add 10 milliliters of the fixative and mix them. Finally, once every tube has the reagent I can set my timer 30 minutes. From there, I usually went to my 30 minute lunch break, which is usually at 12:30 pm or so. My schedule was from Thursday to Monday from 9 am to 5:30 pm. Every Monday and Thursday I was assigned to do multiple tasks for Quality Control such as cleaning the water pan for the incubators, add distilled water to a large container for their machine to do the harvest, and so on. I thought if I can get those duties before lunch it would make my day a lot easier. I guess I should have waited after lunch to do those duties, so I could get my first break in. For the time I started to work there, I was never really happy with my job or that large corporation. I tried to improve myself with taking online college courses for a degree, but that did not work out all. I just do not have any work experience in another field except working at that dumb lab. I guess now that I explained further that I was taking a lot of risks, and I still feel that it would be difficult to find another job because of what I did. I should have taken responsibility in using my timer to make sure I was not over the required time. Do you think I still have a chance finding another job after I explained of what did at my old job? Would a future employer want to take chance on me after I willfully did this gross misconduct for such long period of time? I am a wits end, and I do not know if I will be able to make it after all. Again, sure I think you can get another job. Hindsight intelligence is 20/20 as they say. You’ve assessed what transpired, and it seems you could have proposed a work schedule that while not exactly hitting 1st break after 2 hours on the clock, was workable. There’s an old saying.. Don’t bring problems to management, bring solutions. My guess is from what you described about your former boss, she may have been the type who would go strictly by the book. Break at 11, even though that wasn’t efficiently possible. As I said, by saying nothing, and trying to fix a broken schedule, you gave your boss a free pass & not have to be a manager. Moving forward, it seems to me you can explain why you were terminated, can explain your intentions were good, and most important can articulate lessons learned that actually make you smarter in the workplace, and not be a problem employee. That positions you for worse case. By that I mean you’re assuming you’ll be asked why you parted companies, and/or for details. But if asked, be up front and honest as to why you were terminated, the workload, and why breaks became an issue in the 1st place. and then turn a negative to a positive and show what you learned from it, and highlight that it’s not going to happen again on your end. Skip critiques of your boss, the company etc. A savvy manager/interviewer can read between the lines & figure out the company is pushing the edge as to workloads. Just don’t talk yourself into a scenario where you are unemployable. As I said before, what happened isn’t that terrible, it didn’t rob you of your technical skills. You are looking for a sensible manager, who will be interested in your job ability, and will work with you should similar time conflict arise. Do your homework, research companies that would be interested in your skills, build a network, work the network, and persist. Since you will be job hunting, in for a penny in for a pound, don’t just bang away hunting for a job, hunt for a good company(s) where you’ll be appreciated. I was let go for venting about a egregious vulgar business partner on social media (Facebook). I did it as tongue and cheek, to a private group (not a public post) and no names were provided on who I was referring to. I also deleted the post an hour later on my own because I felt it would be misinterpreted and was negative. Nobody likes to hear negative. But, the next day, a coworker in that private group sent a screen shot of my post to HR. Obviously, not a friend any longer. HR and my Director stated that iF this business partner were to see the post, he would know it was about him. I agreed it was the wrong thing to do to handle my anger about his attacks, but they stated it was grounds for termination. I had a very good performance for 5 out of 6 years there, until the recent company acquisition and having a newer Director, CEO, COO, etc. I did not get along with my new Director very well. She was highly inconsistent and I never worked with anyone as difficult to get on the same page with as her. But, I didn’t find her that horrible – she was a good project manager, but not a people manager in my opinion. None of my opinions about her have been shared when I discuss things with recruiters – I’m only providing this information to you from a background perspective. As far as references, I have been unable to get a hold of my prior boss to serve as a reference, but I do have a few current and past coworker references and client references on LinkedIn. Most of my coworkers are nervous since the company is very strict about anyone providing a reference for legal reasons and there are a lot of layoffs and such going on due to the acquisition – it’s a nervous transition phase. I did send an apology letter to my Director and outlined my outstanding client issues for my colleagues who were taking over my book of clients, so I believe I’m in a good place with HR. Also, HR informed me that they only verify dates and title. I have been allowed to collect unemployment too. Overall, I am having a difficult time finding a concise way to word this scenario. Any help with the wording is appreciated, as I keep getting phone interviews, but can’t seem to get past that part eloquently. Thank you for any insight you can provide. I was recently terminated bc the company purported I fraudulently claimed an item on my credit card. I tried to fight it but could not provide enough substantial evidence my account had been hacked to pass their muster – a year later i was let go. Ironically my performance has been exceeds with increase and bonus to prove that point. I’ve wanted to leave the position and had already been interviewing but due to my position within the firm it was a 90-day notice and lost interested parties bc no-one wanted to wait that long. Now I am free of this requirement, but trying to determine how to acknowledge it. It was the best situation for me as I was working 14 hour work days and had been for years missing out on my children’s younger years. These are definitely not situations where I would share this level of detail with a future employer. After getting fired from previous job it is very difficult to face a job interview.Because we have self doubt that we will get another job or not.Its like uneasy situation and awkward too. You have shared a great article here which will help many job candidates to explain why they got fired from job. Thanks a lot! I was fired for violating company policy. I had gone out to lunch with non employees and had a couple drinks. What should I tell future employers as they always ask “why did you leave your last job”? Nice article I was fired last year and was searching for job since than I went for may interviews after that by I was not able to explain them properly that why was I fired from my last job and because of that lost all that jobs to.I read your article and applied for other interview where I answers the fired question according to your tips and it worked.I want to thank you for that thanks for guiding me..